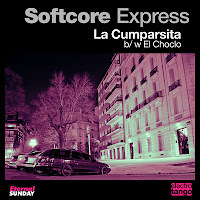 Softcore Express are Eternal Sunday records’ official tribute makers: after releasing an electro tribute to grunge rockers Nirvana they decided it was time to pay homage to their home town, Buenos Aires by making electro versions of the two most known tango pieces in the world (since tango is the music from Buenos Aires). They are “La Cumparsita” and “El Choclo” (loosely versioned in the 50s as “Kiss Of Fire” for the American and European market). As usual Softcore Express music has a furious electro beat with a hyper catchy quality. 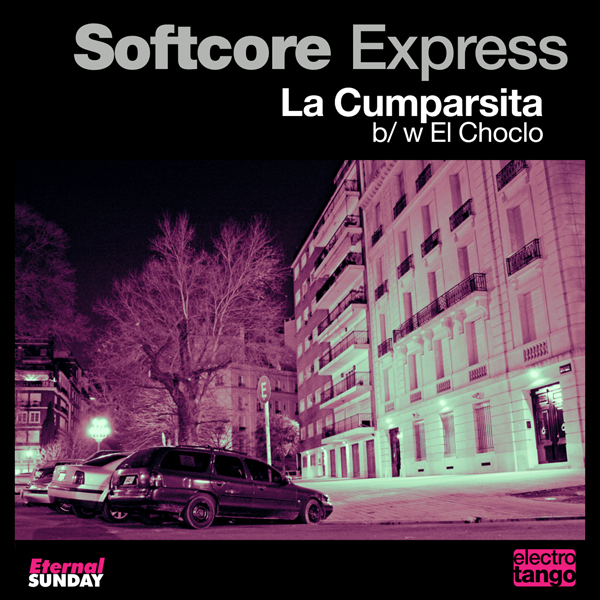 Unlike most blends between tango and electronic music, Softcore Express doesn’t add the bandoneon or tango accordeon, the typical instrument that gives tango its unique flavour. “We decided there was no point in recording bandoneons (tango accordeons). Why should we? When we tribute country music we don’t use banjos or steel guitars, and we covered Nirvana without using guitars, why should make an exception with tango?”, says Michael Etes, one of the producers behind the project. There are many versions of these tangos around. These are probably the catchiest. Have fun.